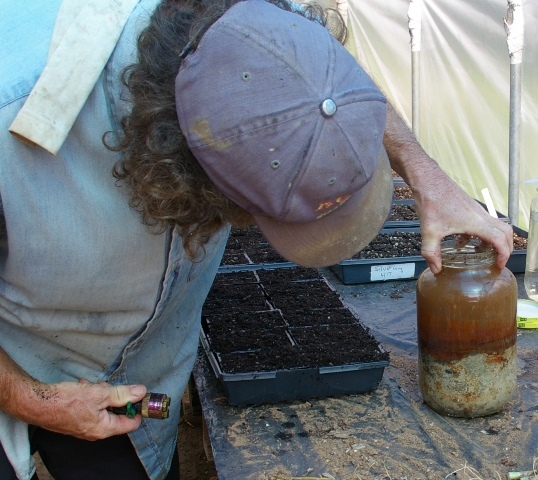 What is a Winogradsky column ? 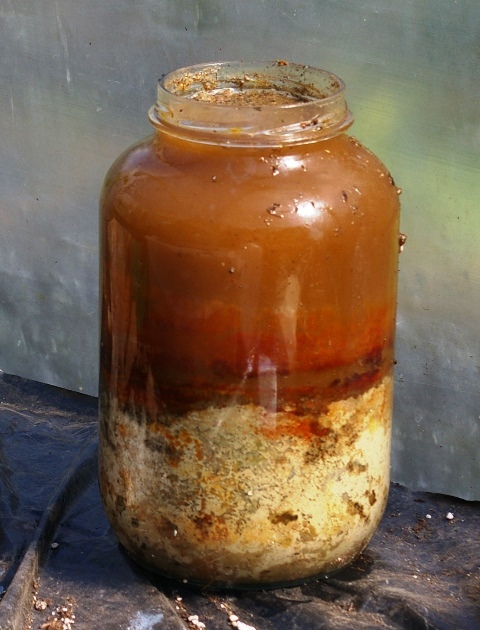 The Winogradsky column, named after Russian microbiologist Sergei Winogradsky (1856-1953), is a deliberate attempt to establish a mixed microbial culture instead of the pure cultures that microbiologists often seek to establish in the laboratory. 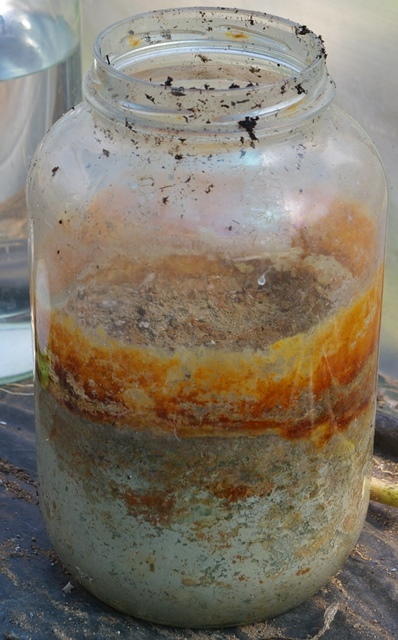 The soil sample that is inserted into the vessel is enriched with various minerals, nutrients, and elements/compounds and hopefully different microbial populations will become established in various locations in the vessel based on availability and kind of nutrients, oxygen availability, neighboring bacteria, light quality and intensity, and I am sure, other factors of which I am unaware. 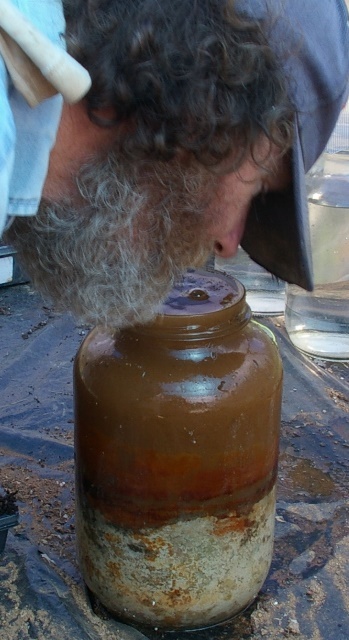 In December of 2005, I assembled four Winogradsky columns using glass Mt. Olive Pickle jars (1/2 gal.) that I thoroughly cleaned and poured boiling water into and over the rim and outside. Into each jar, I inserted a scoop of mud from our natural spring, spring water, crushed eggshells, shredded newspaper or paper towels, steel nails, magnesium sulfate (Epsom salt), sulphate of ammonia, hydrated lime, sulfur, bluestone crystals (copper sulfate) and placed each of them into an environment where quality and quantity of light defined the principle difference among the environments. The column on this page is the only one remaining after 7 ½ years. It has undergone periods of desiccation, darkness, intense heat, etc. and I recently hydrated it after a lengthy period of neglect. I hope that its contents, both biotic and abiotic, can be sources of inquiry as I probe the microbial world in which we dwell and which dwells within us.